A good friend of mine got the 24″ barreled 6.5 Creedmoor setup and has been raving about it for the better part of forever. After an afternoon of shooting it was, by his own admission (and everyone else’s), worth every bit of the raving. The thing shoots frickin’ lasers. At 50 yards it put every bullet through the same hole (literally). At 200, it was inside 1/2″ (that’s 1/4 MOA), and at 600 my friend was still getting about 1/2 MOA results. Although this is about the gun, I’ll add that we were all thoroughly impressed by the cartridge as well. On to the details: First off, the retail is only $1400 and these can be found for $1300 pretty easily. That puts it at half the price and all of the performance of some much more expensive rifles that simply can’t out-shoot it. Second, finding magazines is a breeze because Magpul 7.62 ones are compatible (and two ten-rounders are included). Better yet, both 10 and 20-rounders work fine off the bench length-wise and the rifle is also compatible with SR25 and DPMS-pattern mags, as well as some M14 magazines. Third, the grip, safety selector, and Samson Evolution rail system are all AR-compatible, so you can spec this thing out however you want. And the receiver on this thing is just BAD (i.e. awesome). 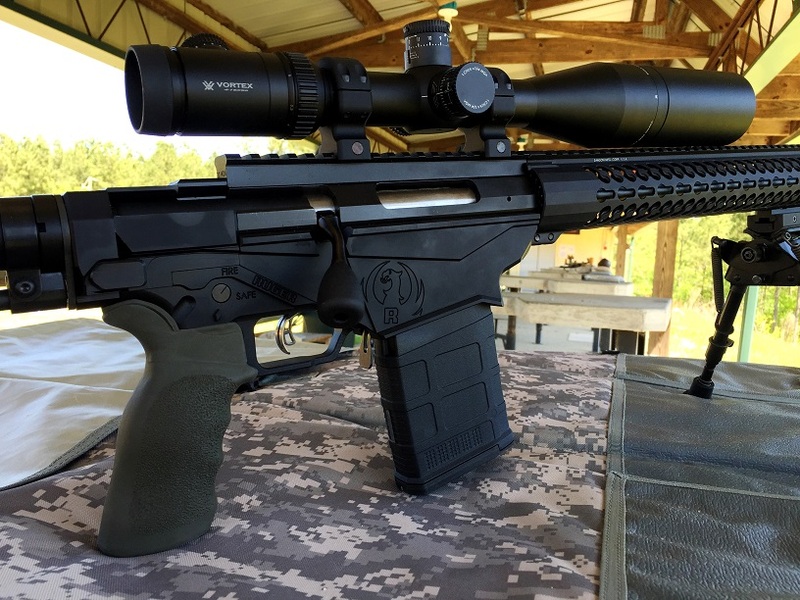 Ruger did a fantastic job with this rifle. The glass up top of this one in the photos is a Vortex Viper 4-16 x 50 EBR-1 (MOA), which like all Vortex products is a fantastic value for the money and has an outstanding service policy. All told, this is a long range gun that can undoubtedly keep up with guns that cost a LOT more. The action is smooth, the machining is nice, and the platform is versatile. There is a lot to like here. 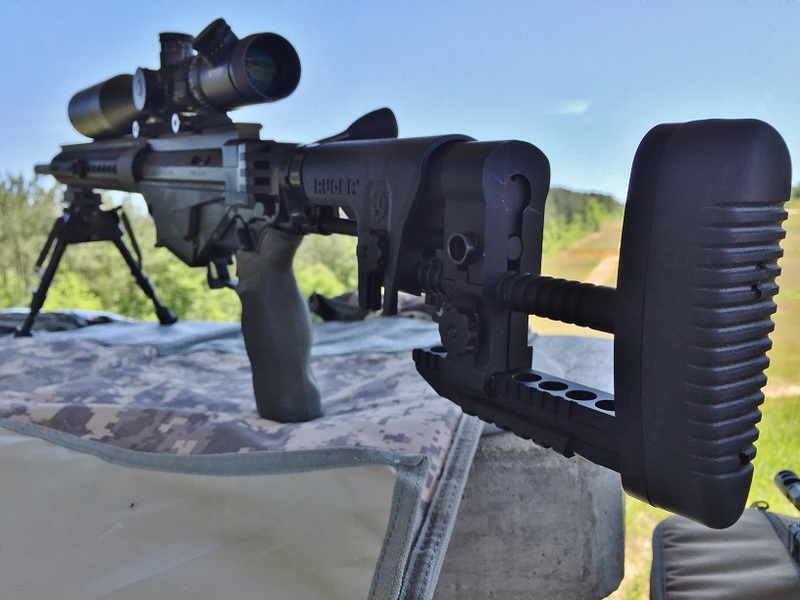 For more information, check out the Ruger Precision Rifle here. You won’t be disappointed if you’re in the market for a new bolt gun.